Easily make hard boiled eggs without any issues by using your handy Instant Pot or other pressue cooker. 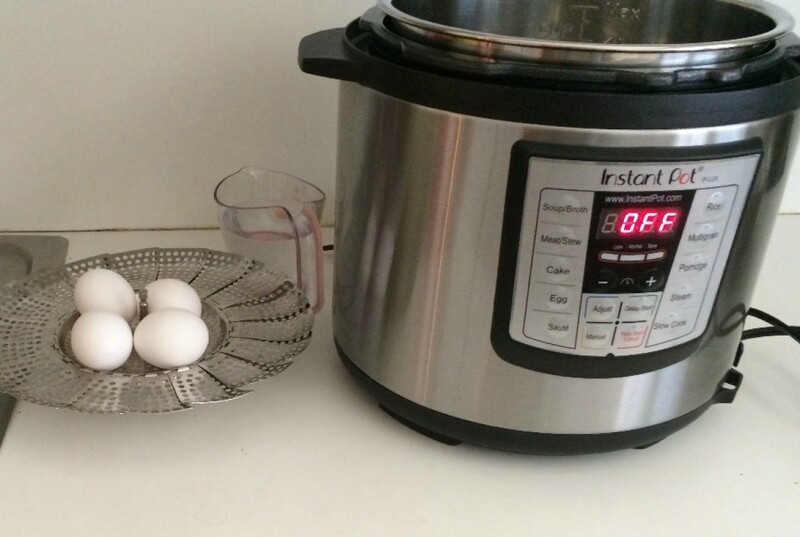 This is a guide about cooking hard boiled eggs in a pressure cooker. You don't have to have an Instant Pot to make these. However, I'm really enjoying my Instant Pot because I can leave the kitchen if I need to. Put 1 cup of water in the cooker. Get a bowl of ice water ready. You will need it at the end. 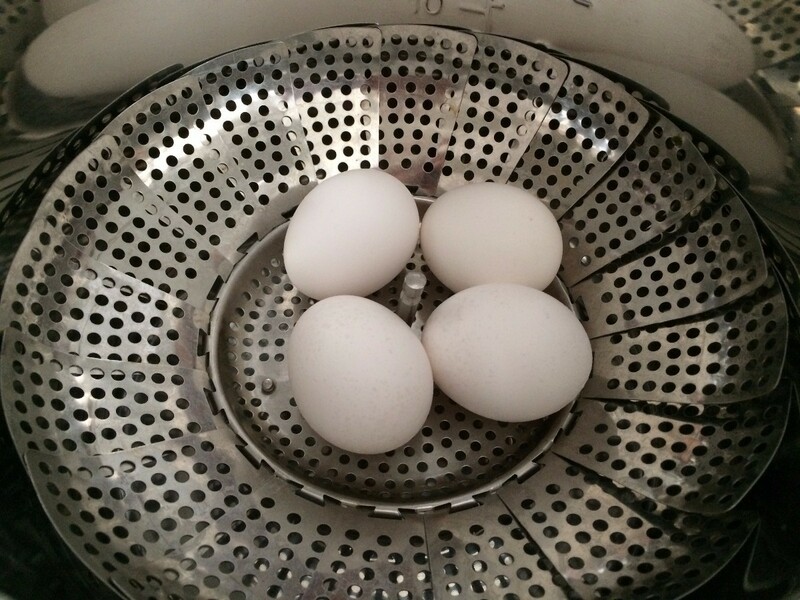 Put your eggs on a trivet or steamer. 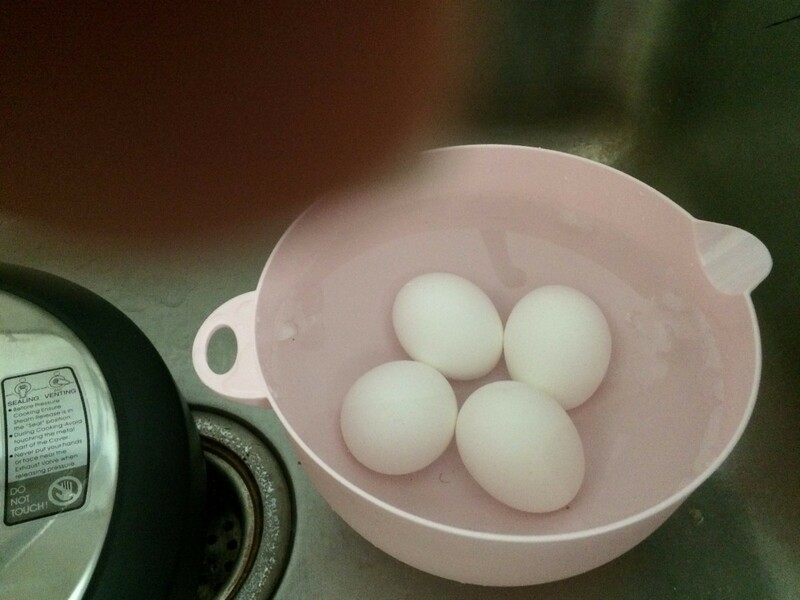 You may stack the eggs, but make sure they don't touch the side of the pot or they will crack and some of the cooked egg will seep out. Pressure cook for 5 minutes. Natural release for 5 minutes. 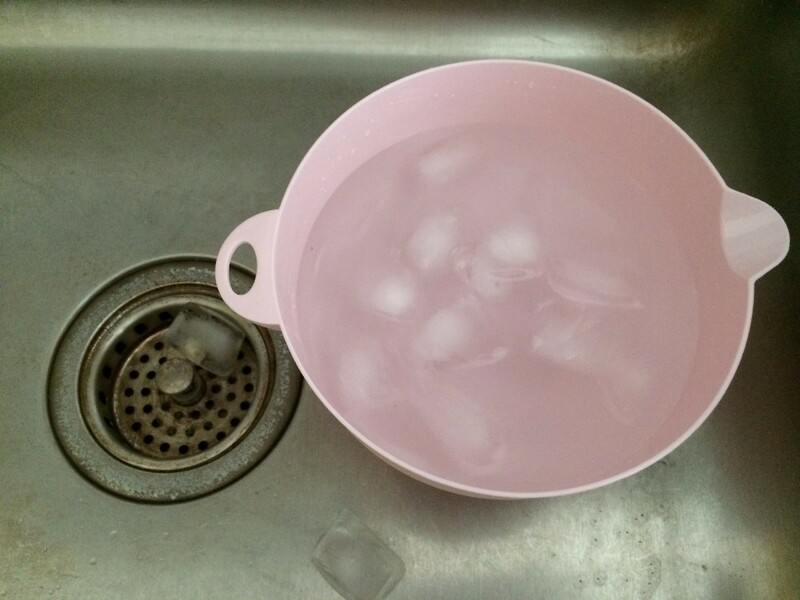 Put the eggs into the ice water for 5 minutes. They will peel very easily. You can peel now or when you are ready to eat them. 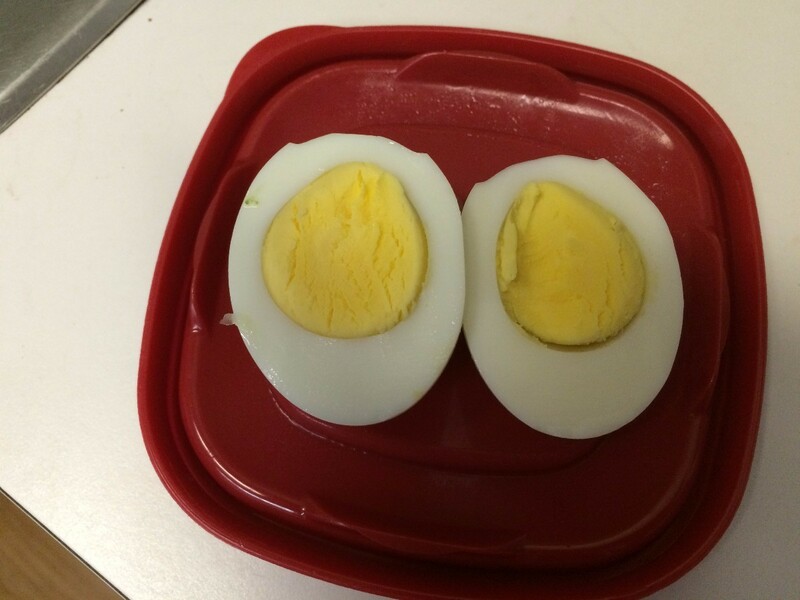 If you do not want the ugly grey boundary on the yolk, just put the eggs into boiling water with tongs, bring the water back up to a rolling boil, turn off the burner or move the pot off the fire, and put a lid on it. Let it steep for 5-6 minutes. Pour cold water into the pot and shake the pot vigorously to crack the shells a bit. As the eggs are cooling rapidly, they will pull some water under the shells and will be really easy to peel.